This green leafy vegetable is found only during monsoon. This vegetable growns in the forest patches and are sold by the tribals in the local markets, but it is not commonly eaten by people. I discovered this vegetable as the lady working for me had got it. Don't know what it is called in other languages, but here in Mumbai it is called Phodshi. 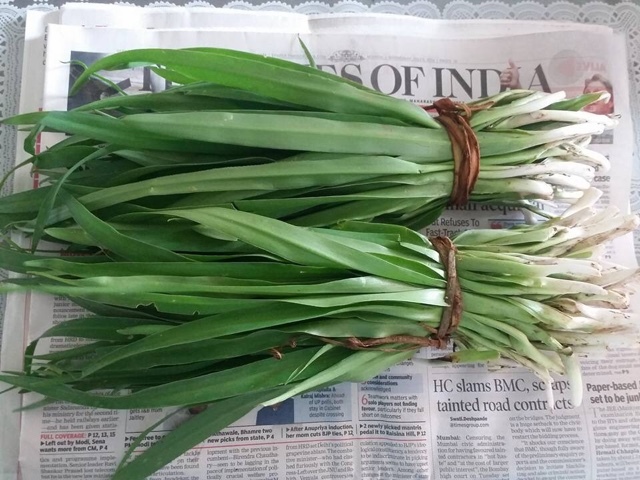 It resembles like spring onion, but it is distinctly different and even a bit bitter. If you get this vegetable, you must try this vegetable... You can make this vegetable in many ways, just simple seasoning of garlic and green chillies or add moong dal to it. 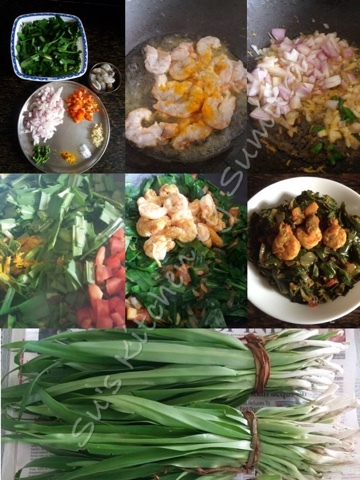 I cooked this leafy vegetable with prawns... It's a simple dish.. But taste great with hot rice or chapati..
Take a wok, add oil. Let it heat. Add the prawns, sprinkle salt and turmeric. Stir it and fry. Take it out and keep it aside. In the same oil, add garlic, chillies and onions. Stir fry it till the onions are translucent. Add the green leafy vegetable, tomato, salt and turmeric. Stir it and cook for 2 minutes, add the prawns. Cook till all the water in the vegetable has dried up. 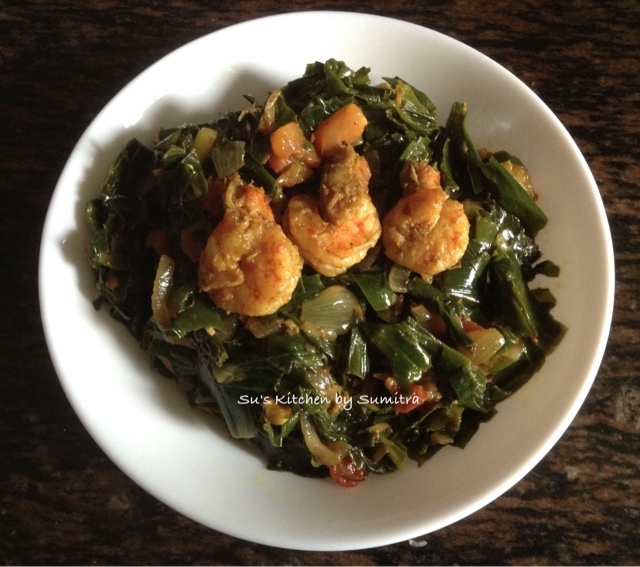 Serve hot with rice or chapati.